Formulated from the latest in polymer synthetic waxes for long-lasting protection. 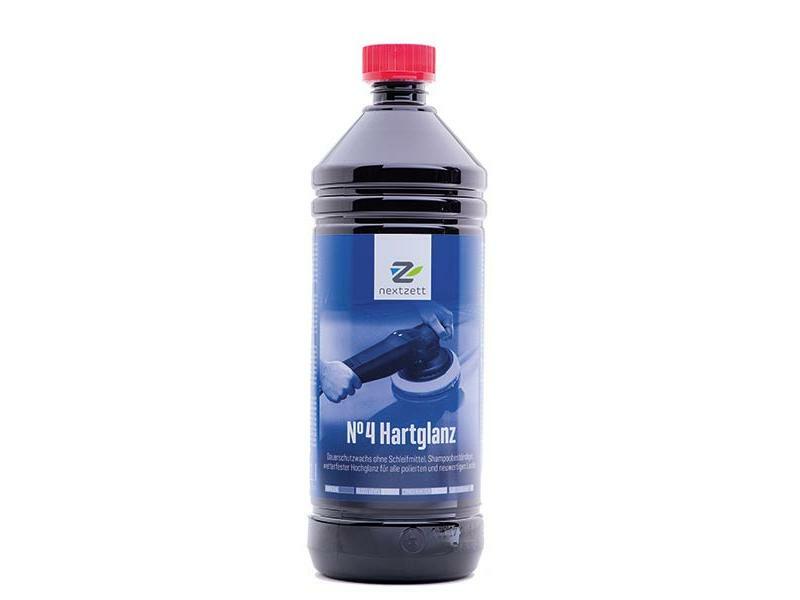 Hartglanz achieves an exceptional deep gloss finish while providing your paint finish with the best in protection from the elements including sap, UV rays, road and ocean airborne salt and pollution. Makes dark finishes incredibly deep and makes metallic flakes appear to jump off the finish. You'll find application to be effortless. Does not stain trim or leaves a powdery residue. Highly resistant to washing and rain for months of protection. To achieve the best result, apply after polishing paint with one of the nextzett polishes.